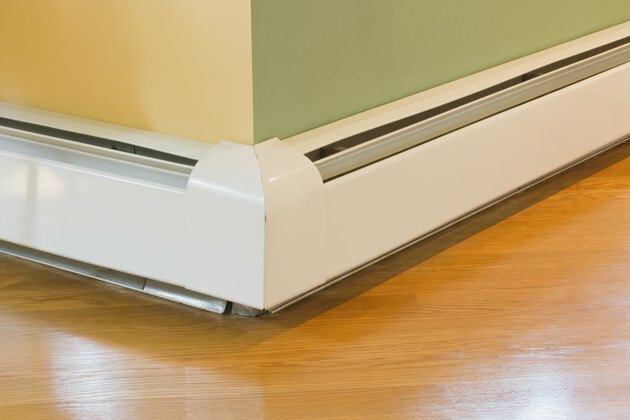 Baseboard electric heaters operate on one of two voltages. Some use 240 volts, others require 120 volts. The main difference between these two voltages is the amount of current drawn by the heater. A 2,000-watt, 240-volt heater uses 8.3 amperes of current, while a 2,000-watt, 120-volt heater uses 16.6 amperes of current. A metal plate fastened to the baseboard might show the required voltage. It can also be measured or determined by the circuit breaker used to control the heater. Electric baseboard heaters use different voltages. Turn off the main circuit breaker for the house and remove the screws that hold the service panel cover in place. Remove the service panel cover. Look at the circuit breaker for the baseboard heater and the wire or wires that connect to it. A circuit breaker with one wire indicates the baseboard heater operates at 120 volts. Two wires supply 240-volt heaters. Replace the panel cover, the panel cover screws, and turn on the main breaker. Turn off the circuit breaker that supplies the baseboard heater. Remove the screw that holds the cover on the heater's wiring box. Turn the heater's thermostat up to the maximum heat or temperature. Turn the wiring nuts on the black, red or white wires counterclockwise to remove them. Do not remove wiring nuts from the green ground wire. Ensure the two twisted connections do not touch each other or the metal case, and that the connections remain twisted together. 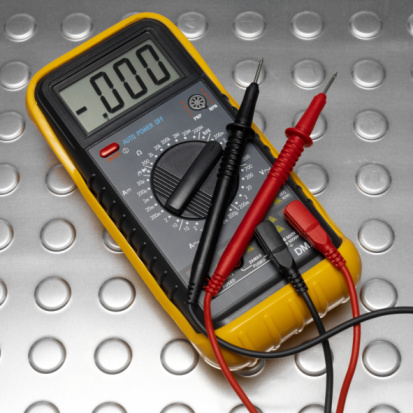 Set the multimeter to read AC volts in a range greater than 250 volts. Turn on the circuit breaker. Touch one multimeter lead to one wire connection, and the other lead to the other wire connection. The multimeter will read the voltage being used. Expect voltage readings between 110 and 125 volts, or between 220 and 250 volts. Slightly lower or higher variations are also possible. Turn off the circuit breaker. Replace the wiring nuts and the wiring box cover. Turn the thermostat back to the normal setting and turn on the circuit breaker.